These are not The Books of 2015 (note: important use of caps that usually singles out "of the year" lists). Instead its some books that I've read over the last year - some weren't published this year and it's just a way to draw a line under a year of nosing into pages. flipped the last page feeling short changed. 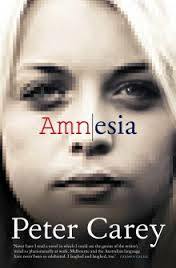 The gap Amnesia left was that of a contemporary writer never quite wrestling with the issues of his time. This absence led me back to Carey's Theft: A Love Story, a slice of Sydney's art world that has blustery Butcher Bones at the core. Carey's shambolical characters drive his better books and Butcher as he courts fame via love and vice versa makes for a cracking read. 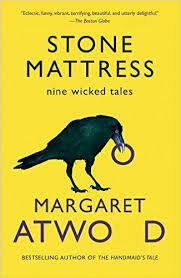 My favourite holiday read was Margaret Atwood's collection of tales The Stone Mattress. These vaguely connected stories (characters wander between them or refer to each other) prove that she's is as vital as ever, playing with the short story and switching between genre in a way that would make Michael Chabon blush. There's a fantasy novelist who creates a world to freeze her former lovers and a girl who grows up to be a wolf woman. My pick was "Torching the Dusties", where a gated nursing home becomes the scene of a revolution against baby boomers. As part of the National Library's Digital Culture Talks, I was lucky enough to speak with Jon Ronson about his latest book So You've Been Publicly Shamed. It looked at how social media can "pile in on" people for their slightest stumble or bad jokes in a storm of snarky tweets. While it's a great read, I enjoyed the chance to dig back to his Men Who Stare at Goats, a tome dedicated to psychic corps of the US military. I tried really hard to seek out great comics this year that got beyond the superhero plague of the moment. I stuck with the multi-volume Y: The Last Man (by Pia Guerra and Brian K Vaughan) which looks at the post-men world after they are all wiped out by a virus. It rambled around the world and Yorrick (the last surviving Y chromosome) was glib but ultimately unlikeable. I followed Vaughan to Saga, his space opera with new parents on the run from warring families. Featuring freakish Montagues and Capulets, dastardly bounty hunters and baby poo jokes, it's visually spectacular but feels a little hollow. The emotional core Vaughan is chasing by having new parents at the centre of his story is hit and miss, but they wisecrack together sweetly enough. Through Medium's The Nib, I found Ed Piskor's Hip Hop Family Tree. Comics that take on non-fiction always interest me and this look at New York's party culture that became a world-conquering music blending the information and laughs. Sometimes too wordy and not trusting the images enough, overall this is an ambitious project that chronicles pop culture history on its own terms. My favourite discovery was Guy Delisle, a globe-trotting Canadian who diaries places he's lived in around the world. From Shenzhen to Jerusalem, his biographical comics have wandered mixing his simple visual style with gallows humour. My favourite was Burma Chronicles, which includes taking his pram up Aung San Suu Kyi's street while she was imprisioned and other personal reflections on dictatorship. Given that he writes for Drawn and Quarterly, one of my favourite comics presses, it was forehead-slappingly stupid that I hadn't found Delisle years ago, but meant that I'm digging through his back catalogue with joy now. To sample all that D&Q has to offer, also recommended is the thumping great tome Drawn and Quarterly 25 which looks back at 25 years of the Canadian graphic novels including stories on Adrian Tomine, Seth and the elusive Joe Matt. After going to a couple of climate change sessions at Melbourne Writers Festival this year, the alarm for change was deafening. That made me foist The Handbook: Surviving and Living with Climate Change on loads of people. 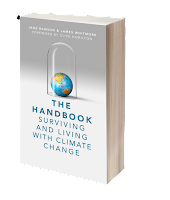 It's co-written by the awesome Jane Rawson (full disclosure: she's a friend and former Lonely Planet colleague) and has her pragmatic optimism stamped all over it. Yes, the books says, climate change is coming and here's how you will have to adapt. Spoilers: more fires, extreme weather events and forget about snow. On the same page as Rawson, James Bradley's Clade has a fictional perspective that follows the climate apocalypse with a frightening but inspiring humanity. The character relay is effective - you just get into one character then a chapter ends and you're passed onto another who grows on you throughout the chapter. Birds fall from the sky, families scatter but endure and somehow Clade pulls off an hopeful dystopia.